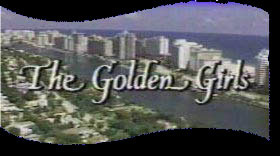 Welcome all to the largest online resource for Golden Girls information, The Golden Girls USA. 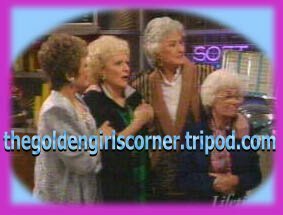 TGGUSA offers over 60 pages of Golden Girls information, including over 300 photos, Character Profiles, Actress Profiles, Quotes, Crew Information and so much more. Browse through our pages and explore the 7 years of Golden Moments that made the show as popular today as it was then. November 29 , 2002- New design to welcome Christmas and the month of December. It is the last month in the year 2002 and TGGUSA plans on celebrating. So get ready for lots of fun in our upcoming new pages with even more information than present. Be sure to keep checking back. TGGUSA will sport an even newer look in 2003, so be sure to stick around for it! -News Flash- Bea Arthur's Intimate Portrait on Lifetime TV is to be released on January 20, 2003! 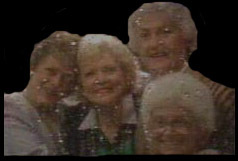 Also: The First Season of The Golden Girls is to be released on DVD in 2003. 9:00 AM-"If At Last You Do Succeed" (Season Six, Episode 5, 30 minutes) Dorothy dates her ex-husband Stan. Meanwhile, Rose decides to have a yard sale to get rid of some old junk when Blanche discovers Rose has $50,000 worth of war bonds. 10:00 AM-"Wham! Bam! Thank You, Mammy! "(Season Six, Episode 6, 30 minutes) It's been nearly a month since Blanche's 'Big Daddy' passed on and she is auctioning off some of his things. She discovers an old secret of her fathers and everything changes. 6:00 PM- "Rose Fights Back" (Season Five, Episode 4 , 30 minutes) Rose gets a letter from her husband Charlie's company explaining they are cutting off his pension after a recent bankruptcy. Rose goes job hunting and gets a job as a TV Consumer Reporter. Meanwhile, Sophia runs wild with a Shopper's Warehouse card. 6:30 PM- "That Old Feeling" (Season Five, Episode 5, 30 minutes) Blanche's late husband George's mother just died and his little brother, Jamie, is coming to town to settle her estate. Blanche falls in love with the memory of George that Jamie brought back to her. 11:00 PM- "Transplant" (Season One, Episode 5, 30 minutes) Blanche's little sister Virginia is coming to Miami with a request. 11:30 PM- "Rose The Prude" (Season One, Episode 6, 30 minutes) Rose goes on a cruise with her boyfriend Arnie to fall in love again and let go of Charlie. Blanche: Well Well, Sophia has a past! Sophia: Yeah but unlike you I didn't need Penicillen to get me through it!! 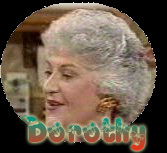 Rose: Dorothy, should I get Sophia a glass off water? Dorothy: No Rose, you should just stand there and watch her hack herself to death. 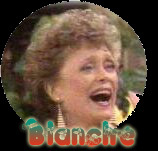 Blanche: I don't believe it, I've been had! Dorothy: I know......And you still didn't get the part!!! TGGUSA Episode of the Month: "Twas The Nightmare Before Christmas"
The Girls go Christmas shopping for one another. Blanche decides to make her friends a gift herself- 'The Men of Blanche's Boudoir', a calendar with pictures of some of Blanche's favorite men she slept with. Later the Girls decide that the best way to spend Christmas is with their families, but a sudden "snowstorm" (in Miami of all places, lol) closes the airport and shuts down flights. The Girls end up going to a cafe and realizing that they are spending Christmas with their family. **PLEASE NOTE** That the TGGUSA designers are NOT any of the actors or actresses mentioned on this site and have absolutely no contact or association with them whatsoever. E-mails that you send to the mentioned addresses are NOT read by the actresses or their agents, but the webmasters and designers.